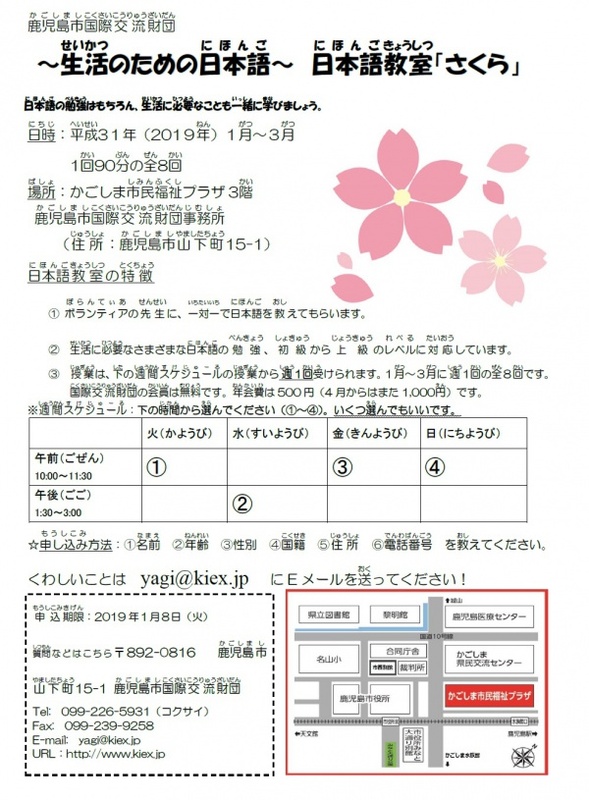 Fee: Free for foreign residents. 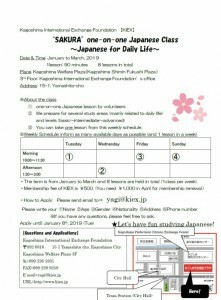 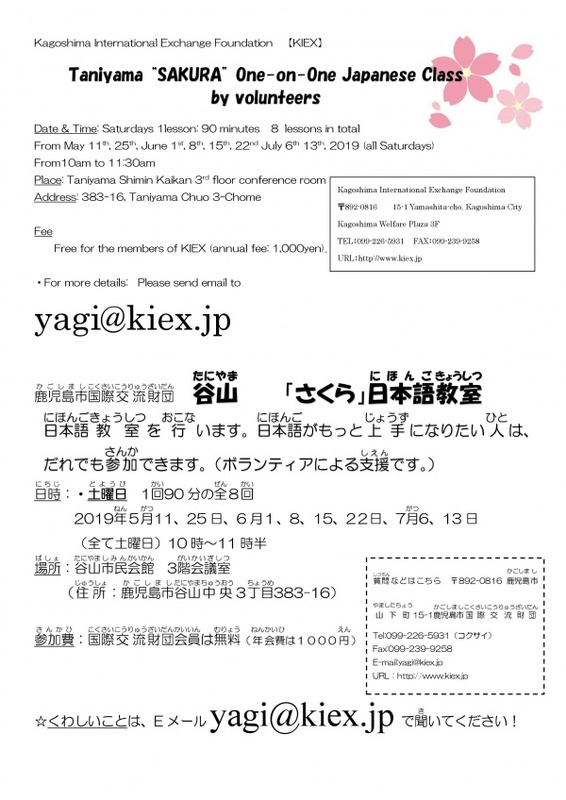 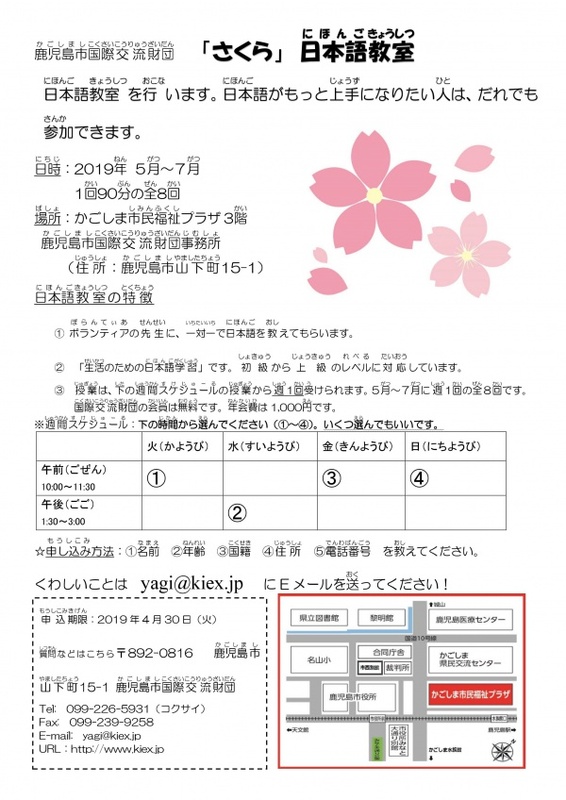 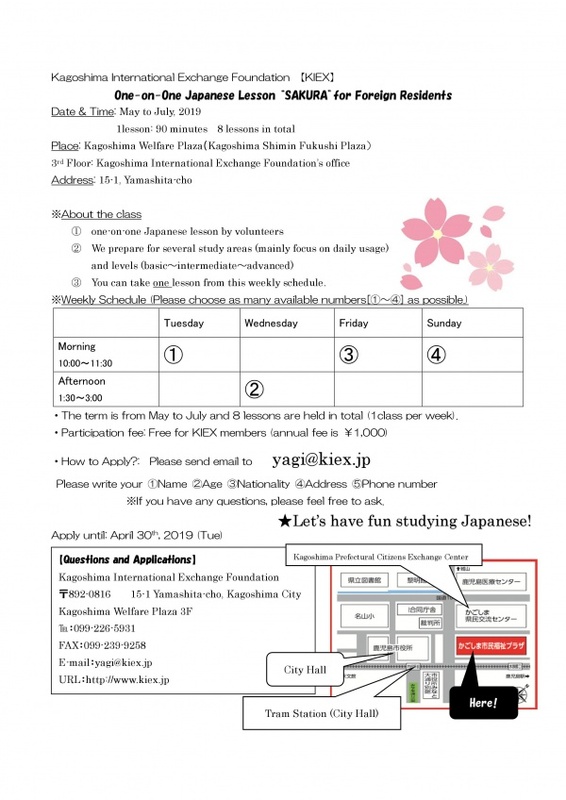 Notice for One Day Special Session of Japanese Class! 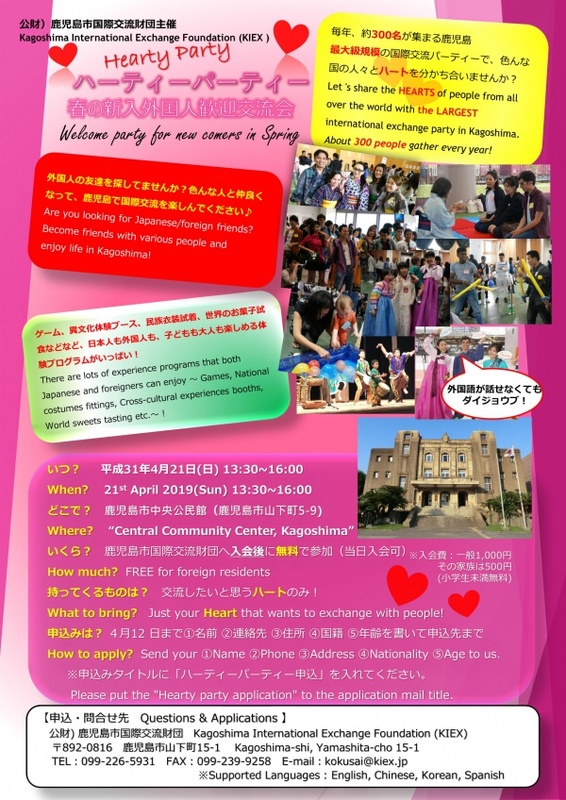 About 30 Japanese and foreign people gather in a lecture room. 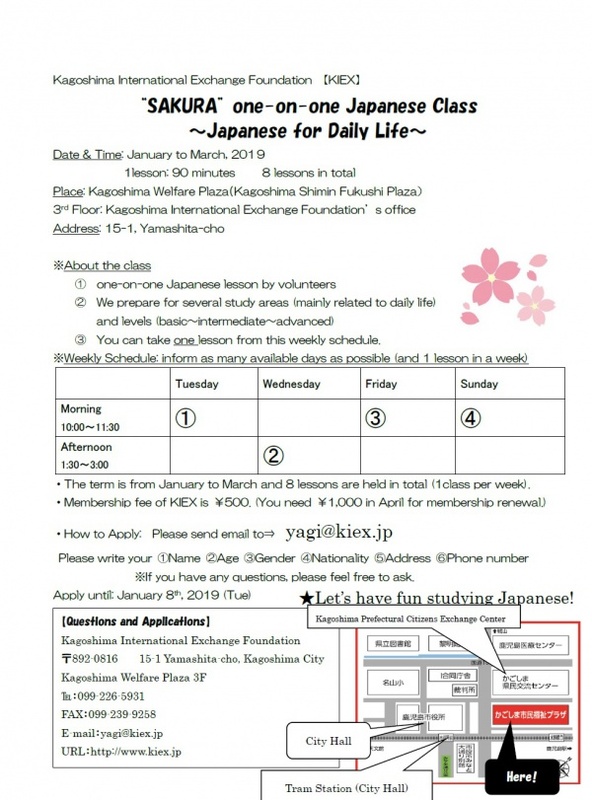 Let’s have fun studying “Japanese for Daily Life”! 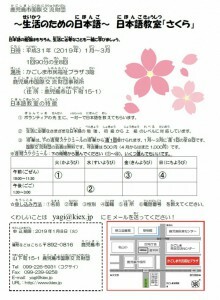 Please see the flyer and send email or message for more details.